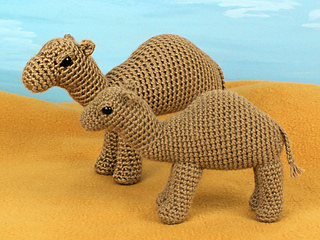 An original crochet amigurumi Camel pattern by June Gilbank. 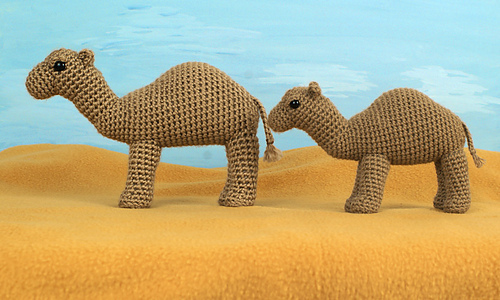 There are two types of camel: the one-humped dromedary (like my design), and the two-humped Bactrian camel. 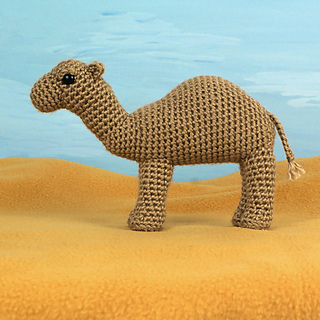 The dromedary is adapted to survive in the hot, dry desert environment of northern Africa and the Middle East. 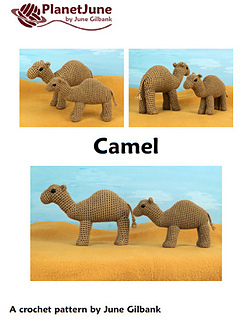 The Bactrian camel comes from Asian climates that can get much colder; its soft thick undercoat is shed annually and used to make camel yarn. 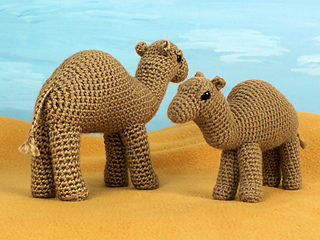 Camels store fatty deposits in their humps that let them survive in drought conditions. They also have other clever adaptations like the ability to close their nostrils in sandstorms! Yarn: worsted weight yarn in a suitable colour (brown, beige, etc).